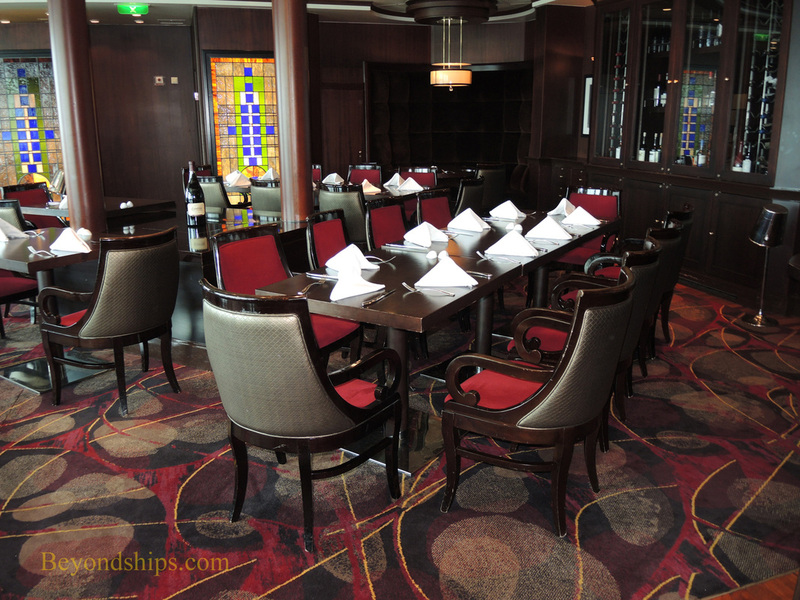 Navigator has four specialty restaurants for which there is an additional charge. Each has a different focus and thus a different experience. But each presents a high quality meal with good service. (See separate review; see also Menus page). 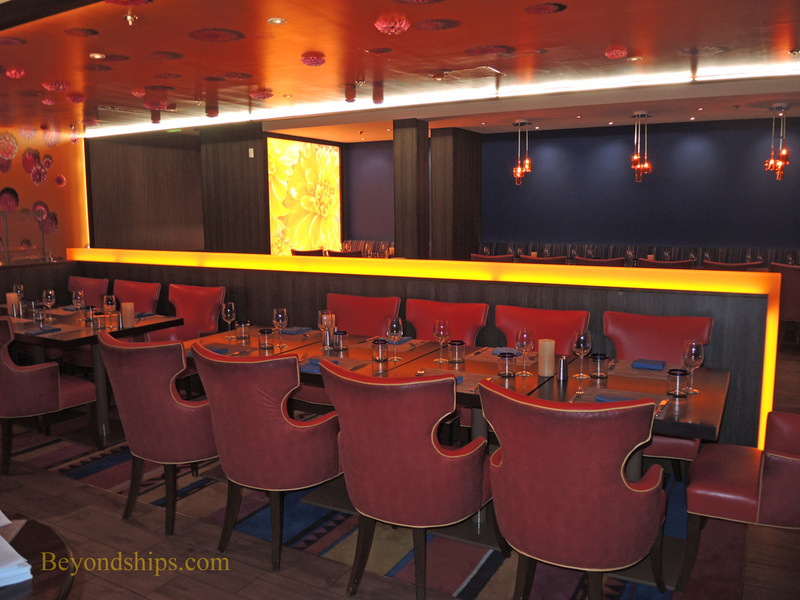 Royal Caribbean's signature specialty restaurant is the Chops Grille. It is a steakhouse featuring preium steaks cooked to order. 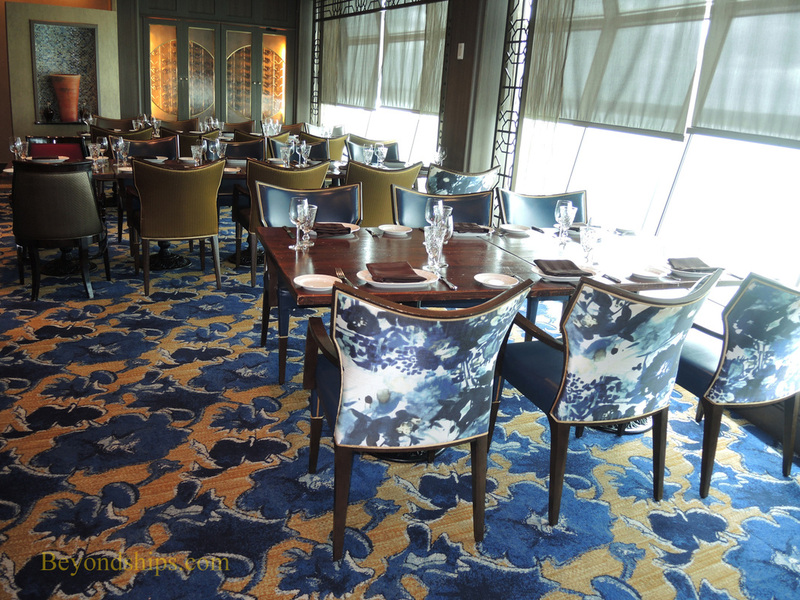 Located high on the ship, the restaurant has a dark wood decor and offerspanoramtic views over the port side through floor to ceiling windows. 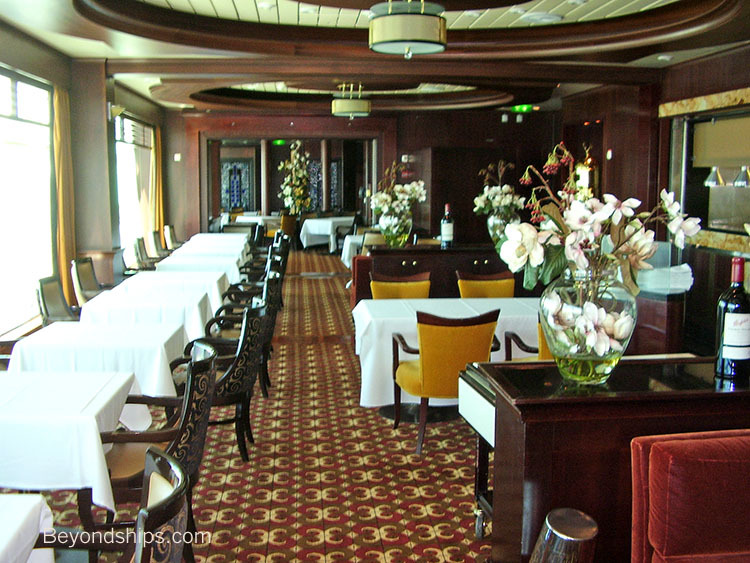 Giovanni's replaced Portofinos as Navigator's Italian specialty restaurant. 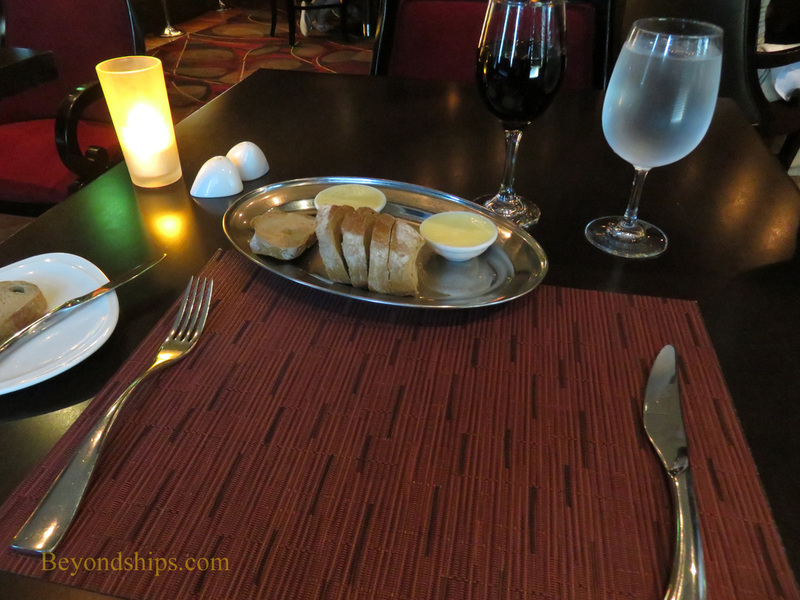 It is less formal than Portofinos but still provides a memorable night out. 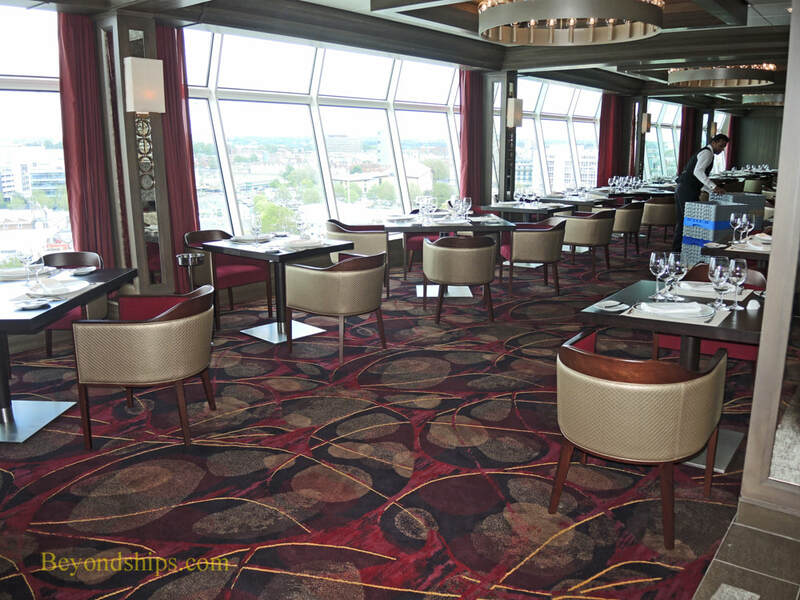 Like Chops, it also offers panoramic views but this time over the starboard side of the ship. 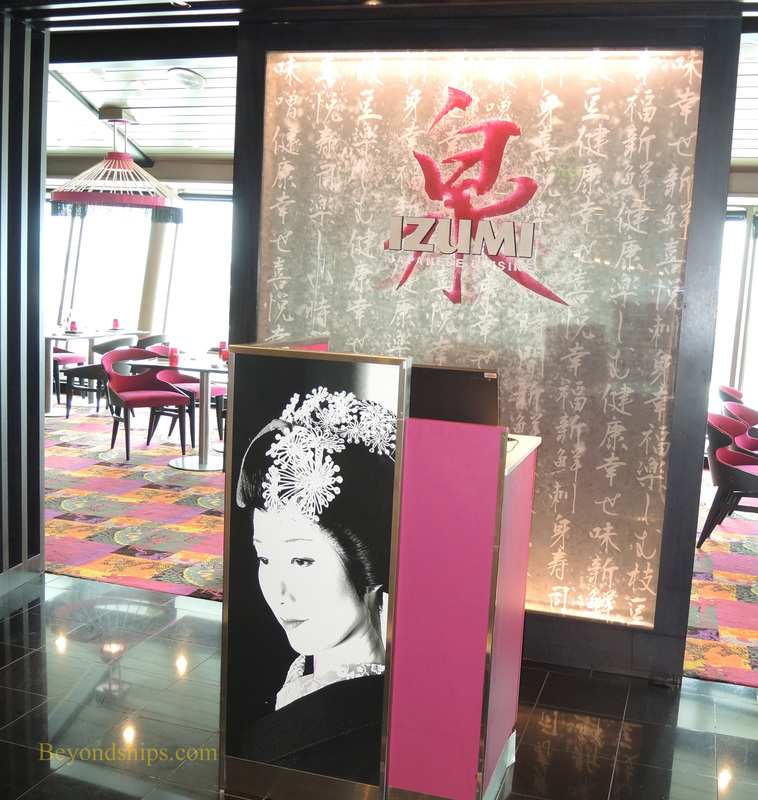 Izumi is an Asian-fusion restaurant. It occupies a portion of the Viking Crown area. 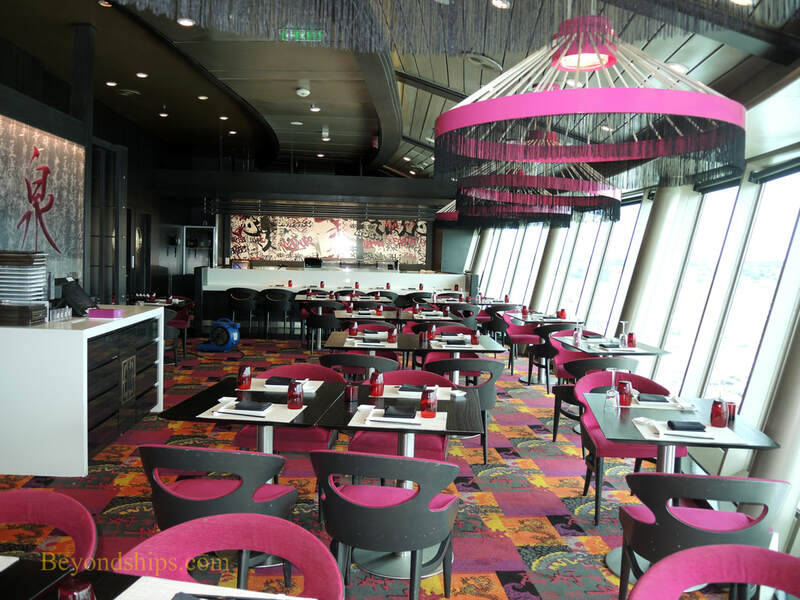 This restaurant too has panoramic views through its floor-to-ceiling windows. 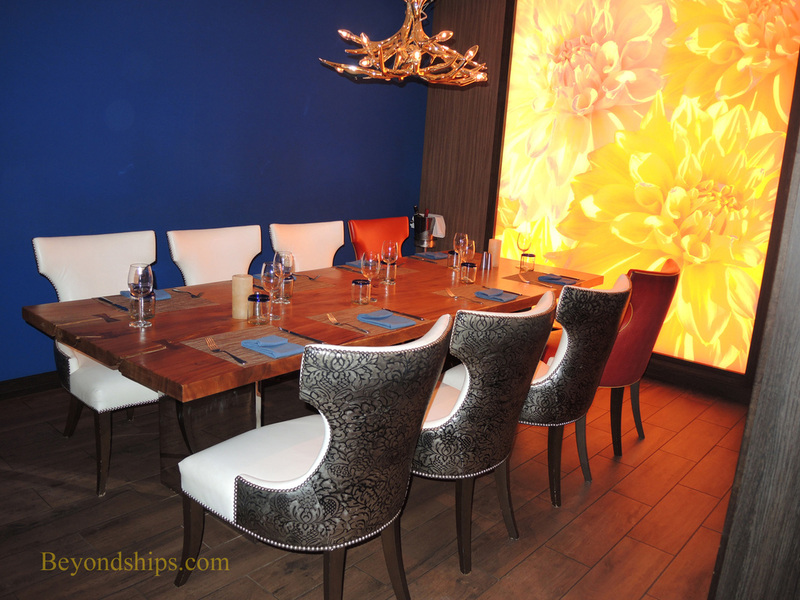 Sabor is a Latin-themed restaurant. 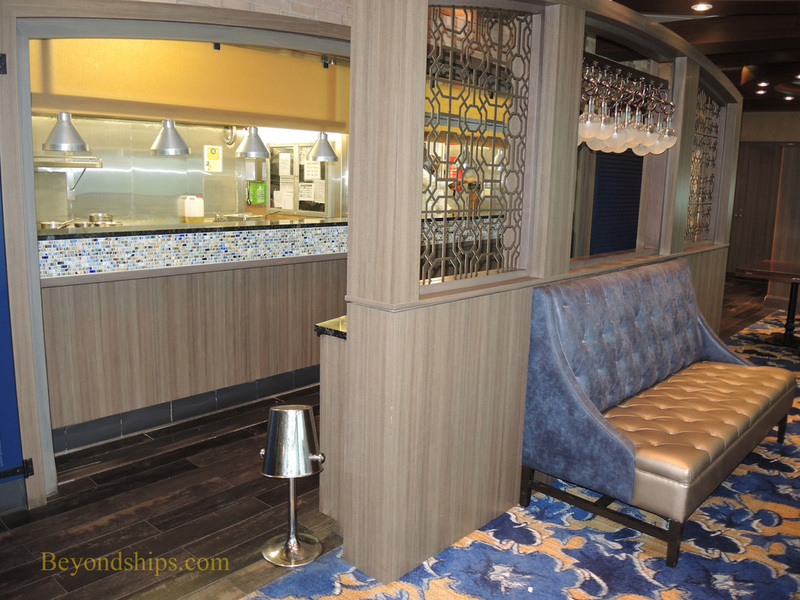 It is located in an area that was originally, the ship's disco nightclub.